Selecting an intermittent catheter is a personal choice. Rochester Medical’s proprietary technology builds on an all-silicone design to offer the most advanced line of catheters available today. With four coating options, various packaging formats and an array of lengths and diameters sizes, you truly can choose the Personal Catheter® that best meets your individual needs. The Personal Catheter provides comfortable, easy insertion and is soft on delicate urethral tissues. 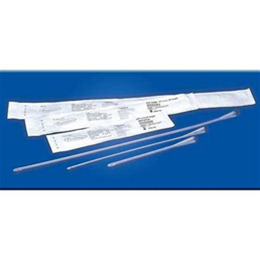 The latex-free design eliminates exposure to potential risks that may be associated with latex and PVC devices.The Personal Catheter is available in sterile, single unit packages as well as in pre-connected trays that feature additional nursing conveniences, such as a drain port to eliminate spills.